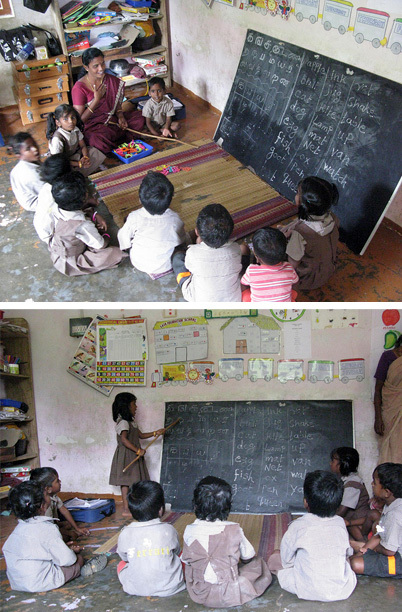 Laia Foundation runs a nursery which has about 50 students. The educational methodology encourages student participation and learning through games. The school was founded in 1995 by the organization Service Civil International. The parents of the students appreciate the quality of education offered at the center and contribute to the project funding a third of the budget. Our students mostly belong to the poorest communities in India.